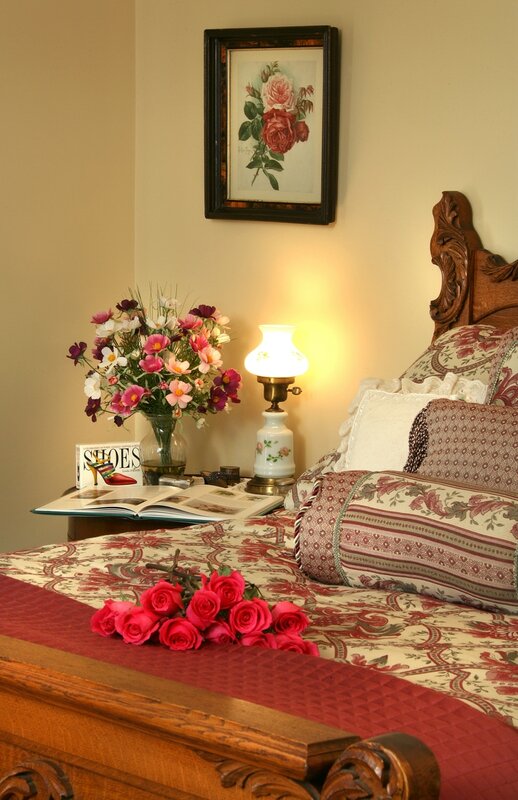 Whether you’re in the Louisville, KY area to attend a special event, or you are just enjoying a well-deserved Kentucky getaway, you are sure to feel pampered in our Run for the Roses Room. This room is named after the Kentucky Derby known as “Run for the Roses” which is quite appropriate based on the location of our Inn, which is only about 30 minutes from Churchill Downs, and across the road from a Thoroughbred Training Center.This room also has some special touches with artwork from Paul de Longpre, a famous French flower painter and a book on the night table, which gives you a complete history of his life. His famous “Bed of Roses” picture is displayed and if you like flowers, you will love this room. 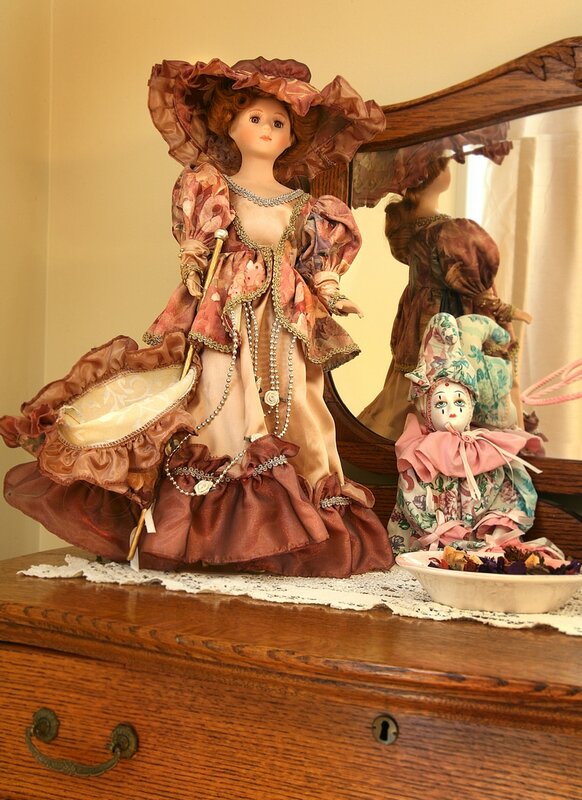 It is on the second floor and overlooks the front pasture and horse statue. 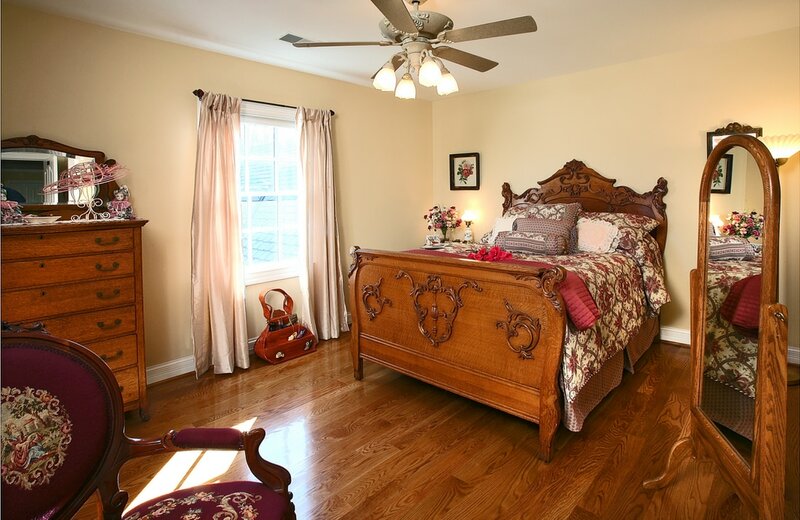 It has a comfy full-size antique oak bed, walk-in closet and shares a bathroom with the Filly Room and has its own sink in the room.